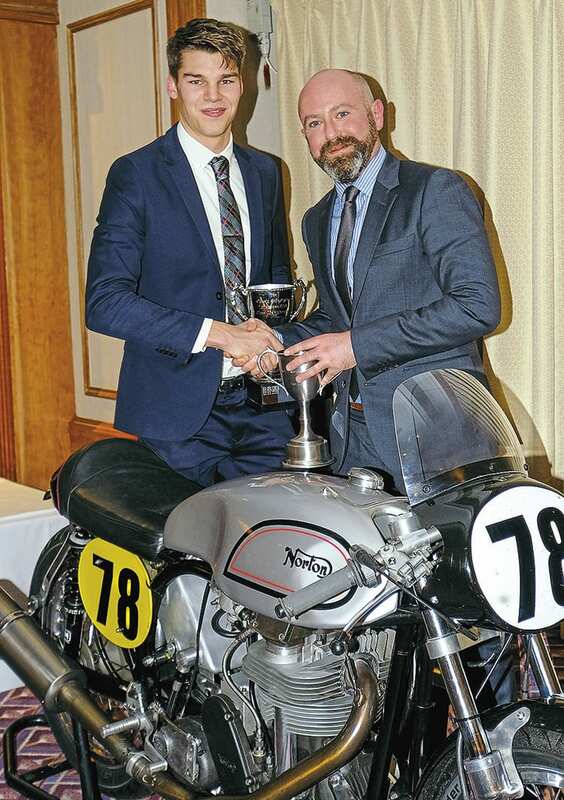 Sam Rhodes clinched the TCM Cup, awarded within the Lansdowne Race series, for ‘clubman’ type machines, picking up his trophy at the Lansdowne dinner on November 18, 2017. Campaigning Graham Austen’s 1954 MSS, Sam was a cut above his class competition, regularly getting about the Manx Nortons and Matchless G50s, on Graham’s pushrod, two-valve single. There’ll be more about the Velo in a future issue.